Gaming the demise of the Saudi monarchy has been a flourishing industry on the think-tank circuit for the past dozen years. Not long ago I sat in private conclaves of US national security officials with a sprinkling of invited experts where the head-shaking, chin-pulling consensus held that the Saudi royal family would be gone in ten years. A premise of the "realist" view that American policy in the region should shift towards Iran was that the Saudi monarchy would collapse and Sunni power along with it. All of us misunderestimated the Saudis. Now the Saudis have emerged at the top of a Sunni coalition against Iran–limited for the moment to the Houthi insurgency in Yemen, to be sure, but nonetheless the most impressive piece of diplomacy in the Sunni world since Nasser, and perhaps in modern times. That attributes a lot of importance to a coalition assembled for a minor matter in a small country, but it may be the start of something important: the self-assertion of the Sunni world in response to the collapse of American regional power, the threat of Sunni jihadist insurgencies, and the Shi'ite bid for regional hegemony. The Saudis have pulled off the most impressive piece of diplomacy in the Sunni world since Nasser. The standard narrative held that the Saudi royal family would fracture after the death of King Abdullah, leaving a sclerotic and senile generation of princes to preside over the demise of a colonial relic. After the so-called Arab Spring of 2011, the smart money bet on the Islamists, with their fusion of religious fundamentalism and modern political techniques. "Given the awfulness of post-World War II Arab lands, where even the most benign regimes had sophisticated, torture-happy security services, Islamists who braved the wrath of rulers and trenchantly critiqued the moral breakdown of their societies were going to do well in a postsecular age. What is poorly understood in the West is how critical fundamentalists are to the moral and political rejuvenation of their countries. As counterintuitive as it seems, they are the key to more democratic, liberal politics in the region," wrote Reuel Marc Gerecht in 2012. Writing premature obituaries for the Saudi monarchy wasn't a Western monopoly. Late last year a well-regarded Chinese analyst told me, "Isn't it ironic–we modern Chinese and you modern Americans are trying to prop up this medieval monstrosity!" Compared to the White House foreign-policy camarilla–McBama and his Weird Sisters–the Saudis turn out to be Middle Eastern Metternichs. The 10-nation coalition that Riyadh assembled to counter Iranian intervention in Yemen has a broad mandate to contain Iran throughout the region. As Zvi Har'el comments in Ha'aretz: "On the diplomatic side, Saudi Arabia was able to get Sudan to break its traditional ties with Iran; Sudanese President Omar al-Bashir, who is wanted by the International Court for crimes against humanity, was received with great pomp and fanfare by King Salman, and at the end of his visit announced that his country was joining the coalition. He also ordered the expulsion of all the Iranian delegations from his country, handing Saudi Arabia another important asset in the balance of power against Iran. Qatar also joined the coalition despite being considered an Iranian ally. More importantly, Saudi Arabia and its allies gave themselves free license to operate in any other Arab country that chooses to join the Iranian sphere." The 10-nation coalition that Riyadh assembled to counter Iranian intervention in Yemen has a broad mandate to contain Iran throughout the region. More importantly, the Saudis have enlisted the help of two Sunni neighbors of Iran with armies far more powerful than the Tehran's, Turkey and Pakistan. "Iran is trying to dominate the region," Turkish President Tayyip Erdogan told a press conference March 26. "Could this be allowed? This has begun annoying us, Saudi Arabia and the Gulf countries. This is really not tolerable and Iran has to see this." That is a drastic shift the position of Turkey, which in the past sought to balance relations with all of its neighbors. Turkish support for the Muslim Brotherhood in Egypt against the Saudi-backed government of Gen. Fatah al-Sisi also was a source of contention with Riyadh, not least because the Muslim Brothers want to overthrow and replace the Saudi monarchy. Pakistan, heavily dependent on Saudi aid, initially rejected Saudi requests for a troop presence on its border with Yemen but now has military assistance "under consideration." Turkey has over $320 billion in hard-currency debt, virtually all of it accumulated since 2008, and a currency that has lost 30% of its value against the dollar since mid-2014, leaving Turkish debtors with correspondingly higher debt service costs. A great deal of its foreign currency borrowing was conducted through banks, and most of the money came from the Saudis and other Gulf states. Turkey's debt constraints have pushed its economy into near-recession, with manufacturing output down by more than 2% year-on-year. Erdogan's political standing, which depended on easy credit and populist public spending, is in jeopardy. It seems likely that the Saudis have exercised the Erdogan option for which they paid a high premium over the past several years. It isn't only that the Saudis acted without the help of the United States, but that they acted in direct contravention of a prime American objective, namely to bring Iran into the regional security architecture as an important and responsible player. The US was led along, but not informed of the particulars of the operation. "At a Senate Armed Services Committee hearing on Thursday, General Lloyd Austin, head of the U.S. Central Command, said he did not learn the Saudis were actually going attack Yemen until an hour before the operation was launched. Austin, whose theater includes Yemen, would normally expect to be given more than an hour's heads-up before such a military operation. Another official with Centcom, who asked not to be named, told us Thursday evening that Austin had "indications" over the weekend that something might happen but got no final confirmation until Wednesday," Eli Lake and Josh Rogin reported today in Bloomberg News. 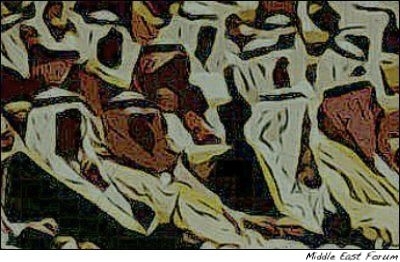 This is the second time in a few months that the Saudis have taken the world by surprise. The first was last September, when they initiated a plunge in oil prices by declining to reduce production in the face of a surge in US oil output. That had killed two birds with one stone, namely competition from higher-cost US shale producers, and the Iranian government budget. No one saw that coming. For those of us who enjoy surprises, Riyadh has been a welcome source of them in recent months. We look forward to more.